“The Future Brunels programme aims to inspire and enthuse young people with science and engineering throughout their time at secondary school. On Thursday 9th March, twelve Future Brunels students aged 13 and 14 visited the QET Labs team to investigate the wave nature of light, and how this can be used to measure minute distances such as the width of a single animal hair. 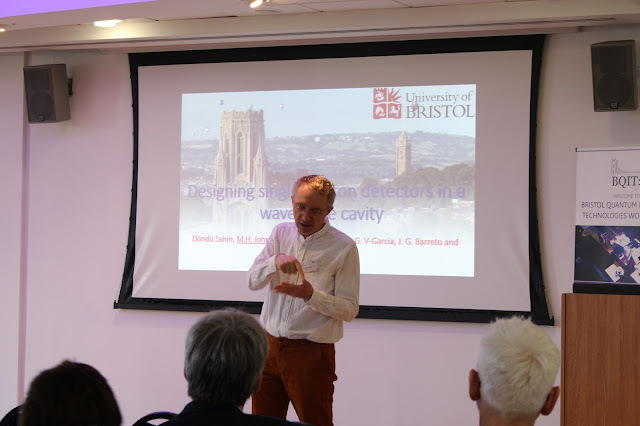 The group began with a talk from PhD student Sam Morley-Short, who described the long-standing 17th Century feud between scientists trying to determine whether light is made of waves or particles. After learning how the wave nature of light was finally determined by Young’s famous double slit experiment, the Future Brunels were sent off in small groups to adapt the original experiment to measure the widths of a number of different animal hairs (generously donated by our furry friends at Bristol Zoo). Carefully shining their lasers onto the hairs, the Future Brunels were able to measure the interference patterns produced, which varied in size depending on the hair’s width. 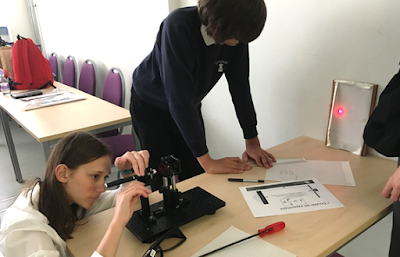 By using their outcomes and solving the double slit equation, the teams then collated their findings to calculate the averages of each of their collected measurements to find a more accurate result. 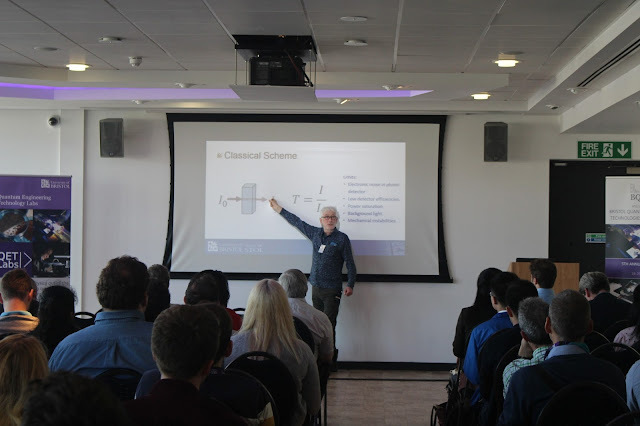 Each group was also treated to a tour of our CDT lab by PhD students Henry Semenenko and Jeremy Adcock, and finished the day off with a question and answer session with the QET Labs team. 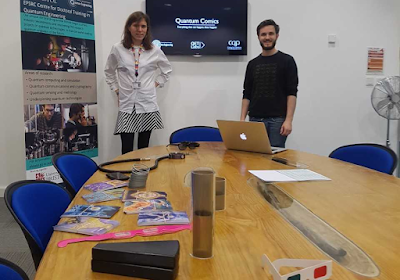 We look forward to welcoming the Future Brunels back to QET Labs soon, and are excited to see what these budding scientists and engineers bring to the world of quantum in the future.